We help people change their lives through sustainable life choices and ultimately change the community they are a part of. 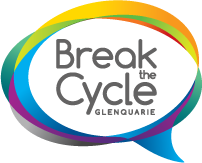 Established over a decade ago, Break the Cycle's primary focus is for the community of Macquarie Fields. Set up as a not-for-profit organisation, Break the Cycle is committed to assisting people wherever they are from, whatever their circumstances, irrespective of ethnicity, religious belief or any other distinction. host a variety of counselling and support services encompassing help with emotional, relational, family, legal and financial needs.